Household mould can be a health issue. Where there’s moisture, there’s household mould. These microscopic fungi produce similarly microscopic spores that can trigger an asthma attack when inhaled. Mould thrives in damp, dark environments, and you might see white, green or black spots or smell a musty odour. If this household mould reaches harmful levels it becomes one of the six known triggers of asthma attacks. Breathing is not always easy. What can you do about it? If you have visible mould in your home it is very important to remove the mould as far as possible. The first step in mould removal could be washing mouldy walls or wardrobes with tepid soapy water, laundering clothing or taking coats to the drycleaners. Soapy water removes the residual sticky nature of mould, but you have to make sure that everything is wiped dry afterwards. Avoid bleach based products which appear to kill mould, but in reality only hide the problem for a while. Ensure that affected rooms are ventilated as much as possible. It is also important to try and work out why this has happened. Rising damp, historic water damage, poor insulation, lack of air ventilation or simply putting slightly damp clothes away can all cause mould incubation. 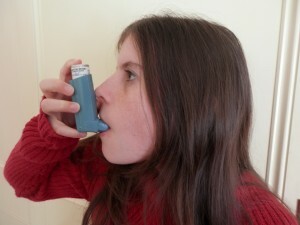 The key to preventing household mould causing asthma is to make sure that indoor moisture levels are kept under control. It may be required to engage a builder or mould remedial specialist in serious cases, but most of the time using common sense will be enough. Make sure that your rooms are ventilated regularly, and place PINGI dehumidifying bags in confined areas of the home. The PINGI range of dehumidifying bags requires no refilling and PINGI can be recharged in a microwave oven in just a couple of minutes. These products are very effective in keeping confined areas in a home dry and will help improve indoor air quality. PINGI bags are also great for using in cars, caravans or boats.